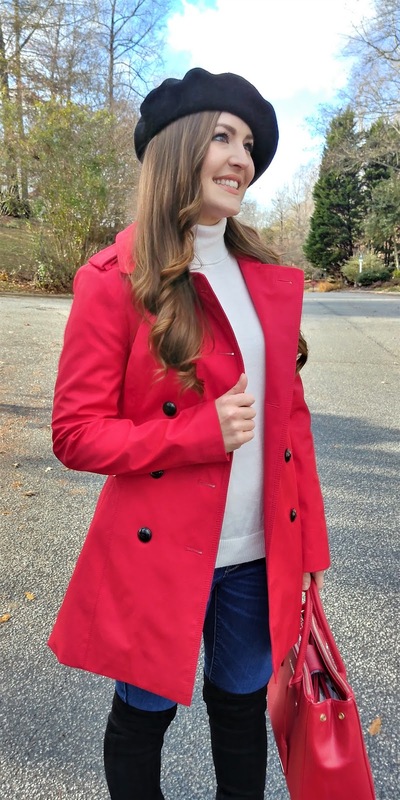 I just love how this red trench coat instantly elevates pretty much any simple outfit. This cream sweater and jeggings would have looked a lot more plain without the addition of the bright red. 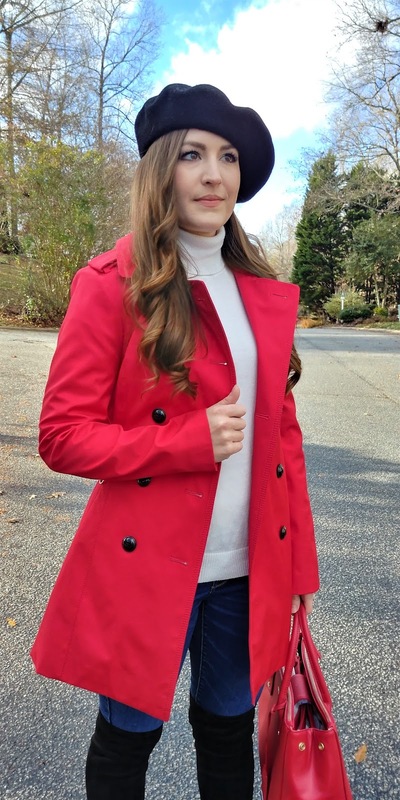 But, adding this beautiful trench brings in a classic and festive vibe, instantly and easily. 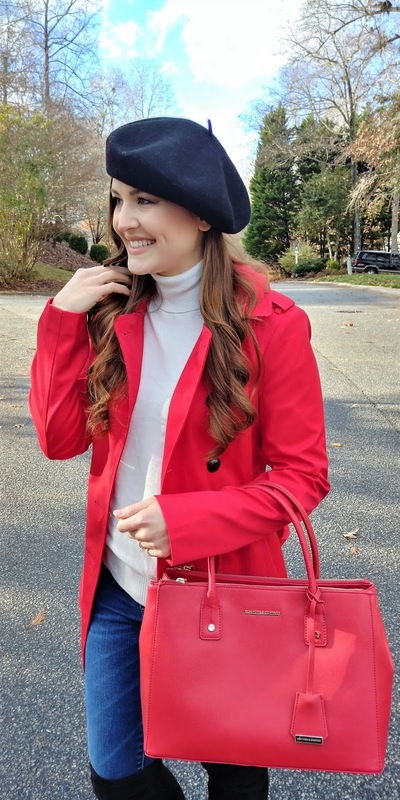 Add a beret to keep everything on trend, and you're all set. 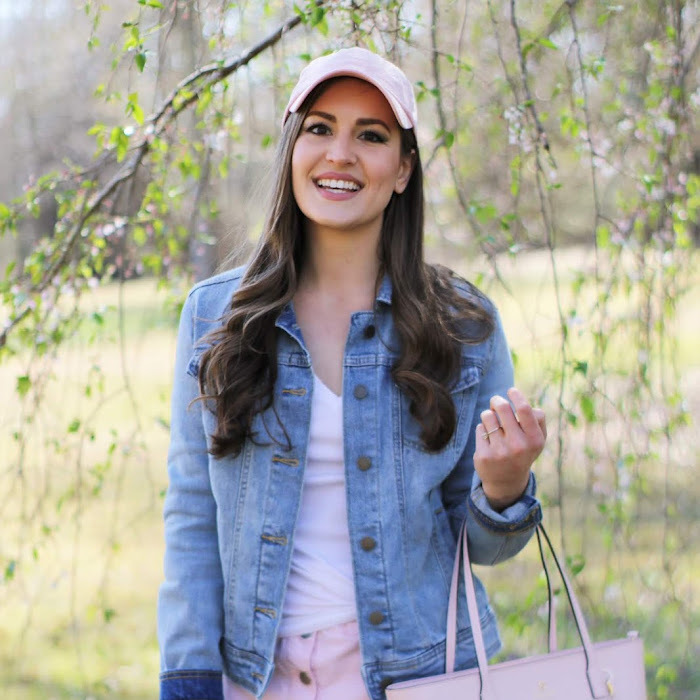 Guys, this gorgeous handbag now comes in blush pink, and it's the cutest. 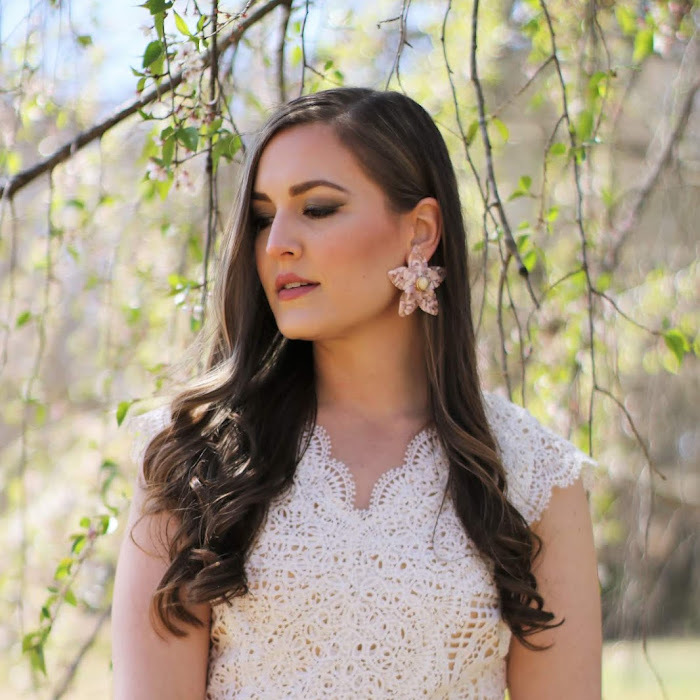 Here I am talking about pink in a post where I'm actually wearing other colors! haha But you'll love it! I hope everyone is having a great Wednesday, and thank you for reading!! 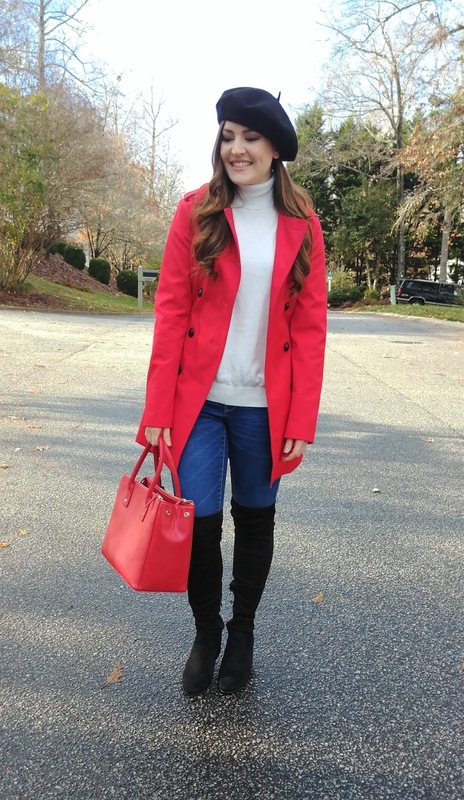 That coat is so cute and festive for the holidays. I love it. 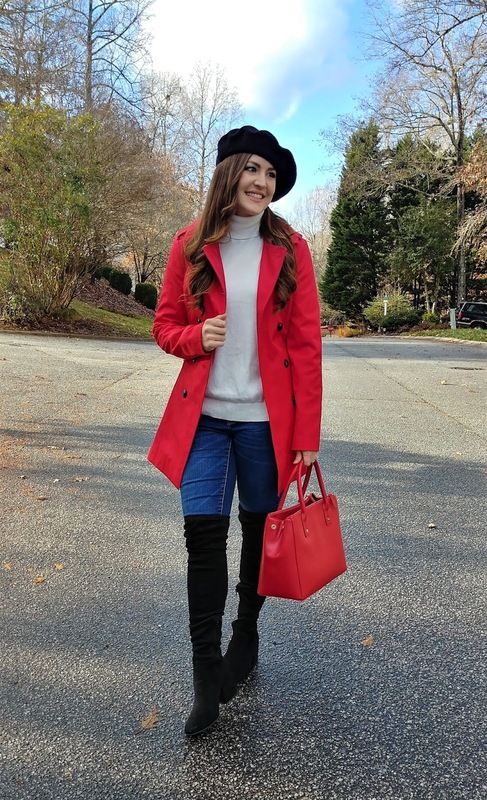 Love the coat - perfect for this time of year! So festive! I love the color of your jacket! That coat looks so cute on you! Such a pretty coat you got there dear! 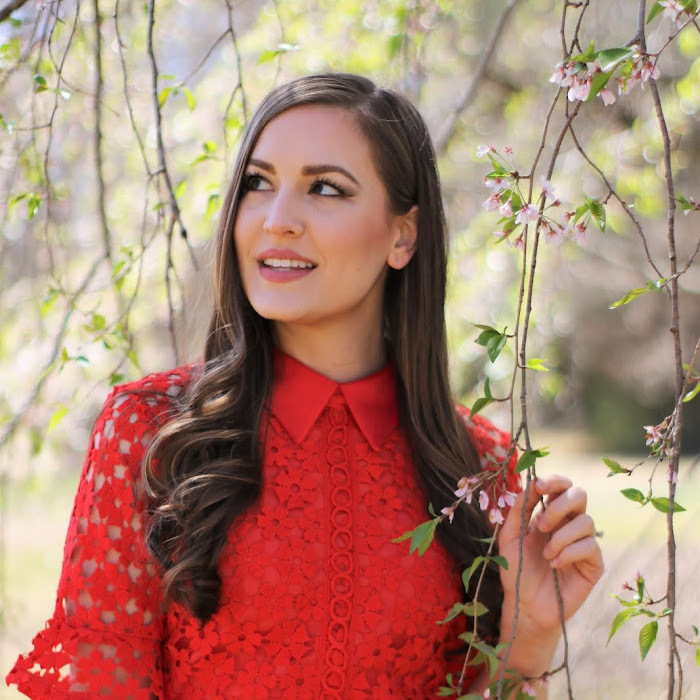 You really can't go wrong with red, especially with that kind of shade. Truly an eye-catcher.